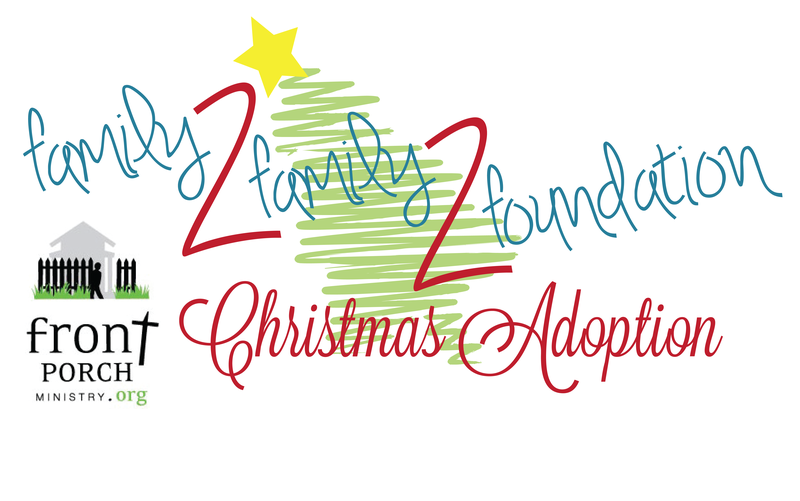 We have facilitated Christmas Adoptions for over 12 years now! We’ve seen some families work hard to change their situation and some who have not, but still want the same benefits as those working hard to grow. We would like to put more of our efforts with the former with hope that as we keep walking, ALL of the families we walk with will become incentivized to want to grow too. We have learned that when people (any of us) are new to growth in a area, it can be hard. We are much more motivated to push through that “hard” if we have an incentive. For our second year in a row, as part of our Christmas Assistance, we are partnering with Project Connect Nashville to offer each family an incentive to GROW in their FOUNDATION. Money donated to our Family2Family2Foundation program stretches further because it comes with an awesome opportunity for our moms to gain a stronger foundation. We have partnered again with Project Connect Nashville (www.projectconnectnashville.org) to provide classes for our moms to attend and a big incentive for them to FINISH STRONG and FINISH with the DIGNITY of knowing they have accomplished something which will help them GROW. Since this is our second year partnering with PCN, we’re THRILLED to share that every mom who is in our program this year has ALREADY completed a six-week course at some point in 2018. Some moms who took a class in the spring, came back and took another on in the fall! We love coming alongside parents who are dedicated to bring forth positive change in their own lives and in the lives of their children. These classes help lay a foundation and are designed to help those walking in poverty to learn skills that can help educate and equip them to deal with life’s challenges, through the power of relationships and life skills. We have been blessed to have built relationships with many families (mostly kids) in our neighborhood, but the challenge in working with adults for us has been finding ways to help with dignity and not dependence. This has been a real challenge. We want to empower our neighbors and families to help themselves more than they have been and encourage them in their talents and potential. We have found that sometimes helping yourself can mean the loss of benefits or social services, which can often make things worse before they get better. But we have found that they only way out of poverty is to work and learn the skills needed to manage the finances that do come in. Work Life and Faith & Finance are GREAT opportunities for our families and we are so excited to begin offering these class to our families. Our Suggested donation is $50-$75 per family member which provides each person adopted: Something they NEED, Something to WEAR, Something for FUN. 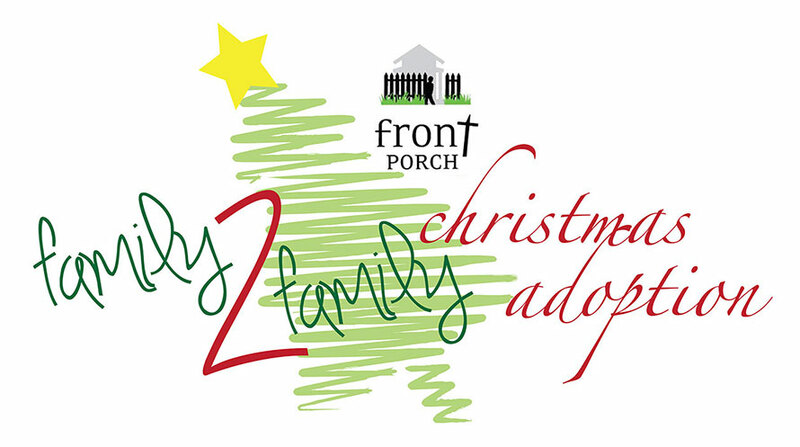 All funds donated for Family2Family2Foundation are 100% tax deductible and will be used to purchase Gift cards by Front Porch Ministry through designated funds that are collected between November 21th – December 15th. 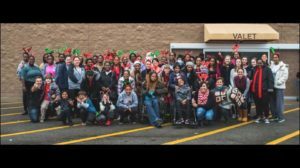 Many of the families we serve do not have transportation or the means of shopping. So we are offering to take many of them shopping along with volunteers on Saturday, December 15th. Adopting families and the families being adopted are all been invited to go shopping and wrap their gifts with volunteers on December 15th. After pairing each volunteer with a mom, we’ll provide the volunteer a list of their children’s names, ages, and clothes sizes. Volunteers are so helpful with budgeting and making sure everything a mom needs is found in the store. Please reach out if you’d like to join our shopping trip! It’s always an incredible time and we would love to have you there. Pray for our families during the Christmas Season and hopefully even beyond. Some of these families are battling some pretty difficult circumstances and generational hardships and/or addictions that have had a hold on their families for years. Pray for their freedom from addictions and strongholds and that they would know the hope and love of their Savior, Jesus Christ. If you have a desire to adopt a specific family and/or would like more details on the family who will be receiving a gift card from you, please let me know. I can provide you information about the family so that you can connect and pray specifically for them. In the past we have connected families directly and allowed the shopping and donation to go directly from the donor to the family and have had both blessings and challenges. Although we LOVE the connection of families, we have come to learn that it is very important that the family (or families) donating financially remain anonymous to our families receiving so that new relationships between our Front Porch families and volunteer (and donating families) can begin on a neutral ground that is not based on giving and receiving materially, but instead on friendship and hope. We have found that this protects the families donating from being asked for financial assistance again from our families struggling in crisis. We are requiring that all donations & family assistance take place through Front Porch Ministry to keep ongoing relationships & friendships alive with healthy boundaries place. There will be lots of opportunities for face-to-face interactions among families throughout the Christmas Season and throughout the coming year. Relationships are key to impacting others.